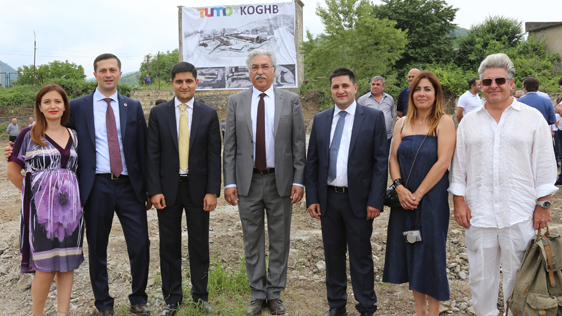 Within the scope of his visit to Tavush region on June 6, the RA President Serzh Sargsyan participated in the foundation stone laying ceremony of the future Tumo Koghb Center. All resources and support, needed to build and establish the Center, have been provided by Ucom and Mission Enfance, Koghb Foundation, Tumo and a number of Diaspora Armenian philanthropists. To ensure the education process, Tumo Koghb Center will have classrooms, a self-study platform, a recording studio, cinema and an open-air terrace for sports events and entertainment. In cooperation with the Defense Ministry, it’s also planned to implement the Tumo Army project in Tumo Koghb Center, thanks to which the servicemen of military unit, located in the neighborhood of Koghb Tumo Center, will also have a chance to be involved in Tumo program. 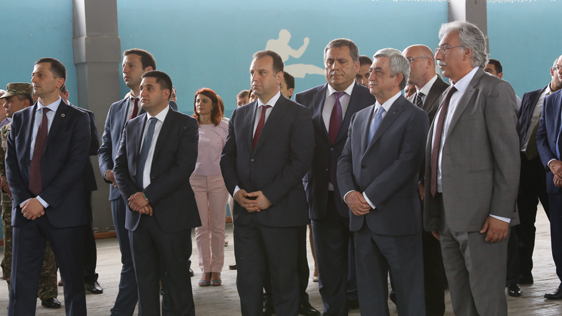 By continuing to get familiarized with the possibilities created for the talented students of Tavush region, President Sargsyan also paid a visit to “Armath” engineering laboratory in Koghb village, where he got familiarized with the works of the best students of dozens of similar laboratories operating in the region. The representatives of Ucom and Union of Information Technology Enterprises (UITE) told the President that students, who were acquiring engineering and programming knowledge and skills at “Armath” laboratory, begin their technical education from the 5th grade and also try to apply practically their knowledge of algebra, geometry and physics. 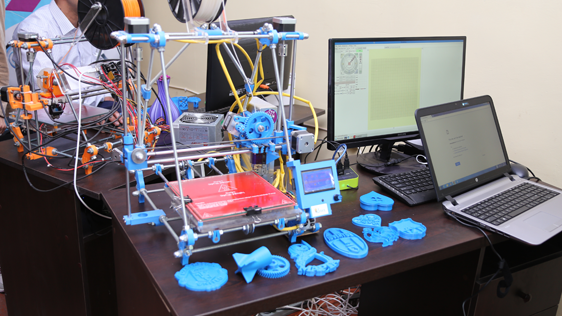 Children are independent and innovative, they are capable of not only making the 3D modelling of different items with the help of a computer, but also printing them, developing games, as well as creating animations and robots. “Ucom emphasizes the importance of engagement of rural children in education projects of “Armath” engineering laboratories, for here they learn to think and create. I’m delighted that this project, which is already enjoying a great popularity at a national level, has also got the attention of Mr. President,” said Hayk Yesayan, Director General at Ucom.